It was great, we were in Orillia for hockey tournament and was close to arenas. We had a great stay at the Best Western Mariposa Inn in Orillia. 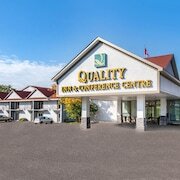 I was looking for a clean, inexpensive, conveniently located hotel for a night in Orillia. We attend the Mariposa Folk Festival annually in Orillia and find the Comfort Inn to be an excellent choice for accommodation. Only stayed overnight and have no complaints whatsoever. We had a good stay. Staff were super friendly and we enjoyed our night. We liked that there were options for getting to casino rama. Where to find Orillia hotels near an airport? Where can I find hotels in Orillia that are near tourist attractions? There are a number of hotel options to choose from when arranging your adventure in Orillia. Expedia's extensive database lists 15 places to base yourself within a short drive of Orillia's center. 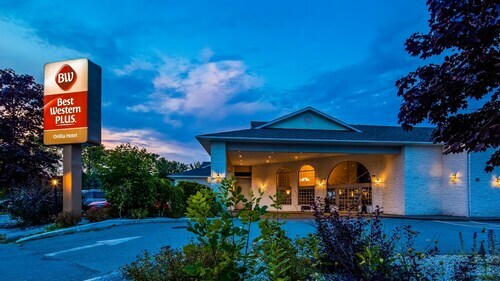 Travelers looking for Expedia-listed hotels and accommodations conveniently located to the center of Orillia, should browse the latest offers at the The Champlain Waterfront Hotel, an Ascend Hotel Collection and Maples Motel. 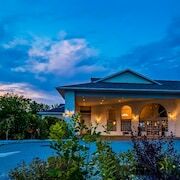 The Best Western Plus Mariposa Inn & Conference Centre and the Stone Gate Inn are very conveniently located if you'd like to stay near the Orillia Opera House. The Best Western Plus Mariposa Inn & Conference Centre is 2 kilometres (1 mile) away and the Stone Gate Inn is 2 kilometres (1 mile) away. 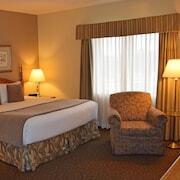 The The Champlain Waterfront Hotel, an Ascend Hotel Collection, Knights Inn Orillia and Bayview inn could be useful accommodation options for travelers who are after budget hotels. 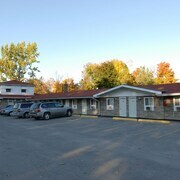 The Horseshoe Resort is located 20 kilometres (13 miles) away from the main part of Orillia. Another option is the Bayview Wildwood Resort, which is located 20 kilometres (13 miles) away. Two other places to rest your head include the Best Western Plus Couchiching Inn and the Days Inn - Orillia. Like to travel a bit further afield? Southern Ontario has many options. Visit Southern Ontario's traditional villages and also enjoy its beaches, coastal plains and forests. In this section of Canada tourists might partake in skiing and cross-country skiing. 30 kilometres (20 miles) to the southwest of Orillia you'll find Barrie, where you'll find Georgian College and Snow Valley Ski Resort. The Hampton Inn & Suites Barrie and Holiday Inn Barrie Hotel & Conference Centre are a few of the long and short-stay options in Barrie. 40 kilometres (25 miles) to the west of Orillia, is Midland, which is home to the Best Western Highland Inn & Conference Centre and Comfort Inn Midland. The Bamboo Spa and Midland Golf and Country Club are popular attractions to check out in Midland. Pearson International Airport is a convenient airport, and is located 100 kilometres (65 miles) away from Orillia. Conveniently located Expedia-listed hotels are Sheraton Gateway Hotel In Toronto International Airport and Residence Inn by Marriott Toronto Airport. What are the most popular Orillia hotels? 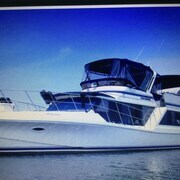 Are there hotels in other cities near Orillia? 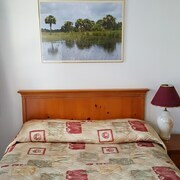 What other types of accommodations are available in Orillia? Explore Orillia with Expedia.ca’s Travel Guides to find the best flights, cars, holiday packages and more! Flights from Pearson Intl. to Louisville Intl. Flights from Pearson Intl. to Kona Intl. Flights from Pearson Intl. to La Aurora Intl. Flights from Pearson Intl. to Franz Josef Strauss Intl.